Bauma 2016 is a welcome opportunity for discussions: about the latest trends, their influence on the industry – and of course for sales pitches. 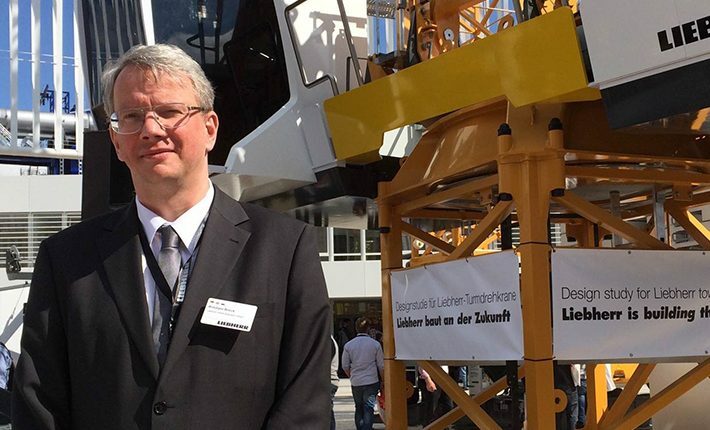 Liebherr-Werk Biberach GmbH was able to approach these conversations at Bauma with a recently closed deal on its books. The contract was signed and the ink had dried shortly before the start of the trade fair: Liebherr-Werk Biberach GmbH will supply a total of ten tower cranes to Greece by mid-2016. “The order gives us considerable momentum for Bauma and is further motivation”, states Rüdiger Boeck, responsible Area Sales Manager. The tower cranes – including six 200 EC-H 10 Litronic, as well as a 630 EC-H 40 Litronic, a 202 EC-B 10 Litronic, a 250 EC-B 12 Litronic and a 280 EC-H 12 Litronic in the special design for cooling tower construction – are being used by the construction company Terna S.A. for the construction of a power plant in Ptolemais, Greece. The planned construction period is roughly five to six years.